Our service this morning was all about the bounty of God and all that He has provided for us. Andrew’s sermon entitled food for the table makes a very interesting read. After the service the congregation stayed for a soup and share lunch, and all of the produce was sold and the money raised, which amounted to a little over £100, will go to the Malawi fund. The Church of Scotland HIV Programme is very excited at the prospect of a visit to Scotland by Maria Silo, the lady whose smiling face beams out from our poster. Maria works for the Ekwendeni Hospital AIDS Programme in Malawi, and she will be in Scotland from 14 to 28 October. Maria will be in Annan St Andrew’s Parish Church on 18th October at 7.30pm. Autumn Edition of Chronicles now available!! 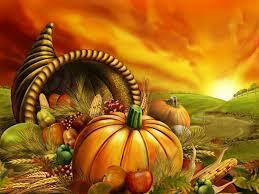 This Sunday, 29th September 2013, will be our Harvest Thanksgiving service. So please bring along with you any produce that you have grown and would like to donate to raise money to support children in Ekwendeni, Malawi, in furthering their education. 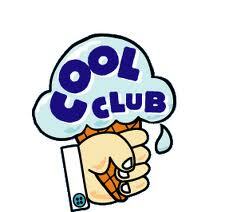 We will also be serving lunch after the service with soup provided, bring along something to share! The offering, along with any monies raised from the sale of produce, will go to Malawi. See also the Rice Challenge! 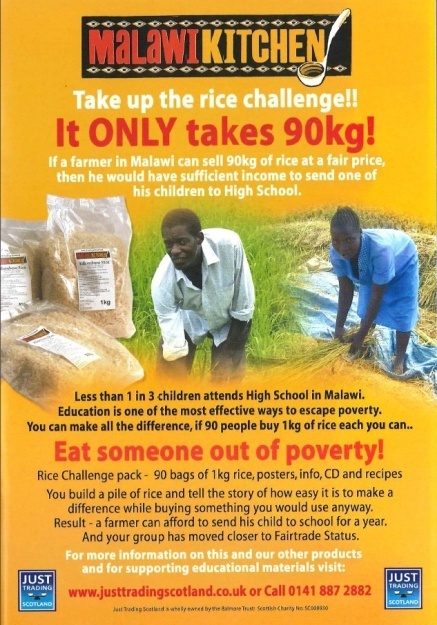 Canonbie Church has decided to take part in the Malawi Kitchen Rice Challenge – we have purchased 90kg of Malawian rice, which can be purchased from the Church at £2.99 per bag. If a farmer in Malawi can sell 90kg of rice at a fair price, then he would have sufficient income to send one of his children to High School. So join us in taking this challenge. For more information on this and other fairly traded products that are available, have a look at this website.